A few years ago, I had a post about a my first visit to The Cloisters in New York and I mentioned that I would love to visit the place again. I did just that last October. It is as magical as I remembered. Maybe just a little busier than I remembered but, every bit as awe inspiring. From the time you enter the building and climb the long set of stairs to the reception area, you are transported back in time. 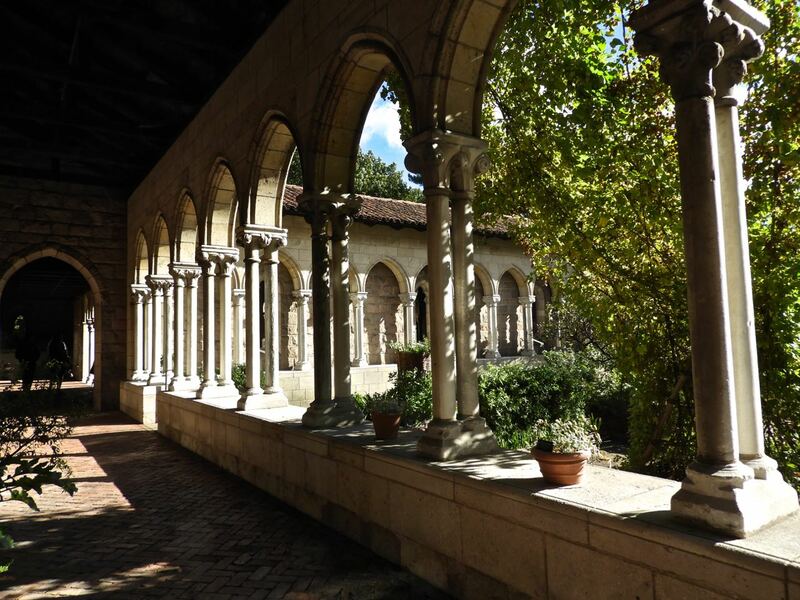 Being surrounded by those massive stone walls gives a strong sense of exploring an ancient abbey or church somewhere tucked away in the hills of France, Italy or Spain. 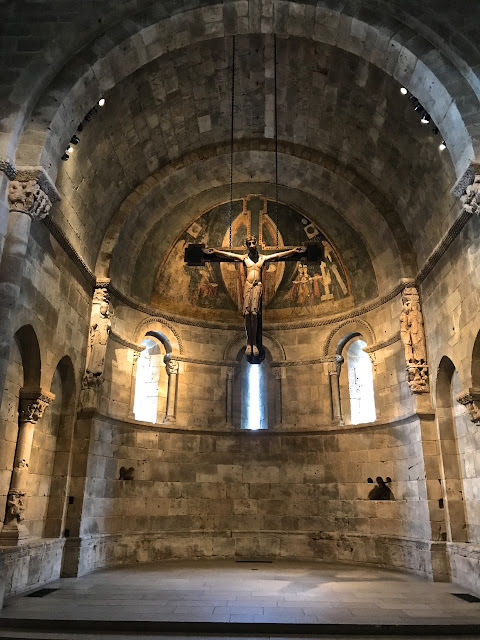 The Met Cloisters is a branch of the Metropolitan Museum of Art dedicated to the art, architecture and gardens of medieval Europe. It gets its name from the medieval cloisters that form the core of monasteries and abbeys. 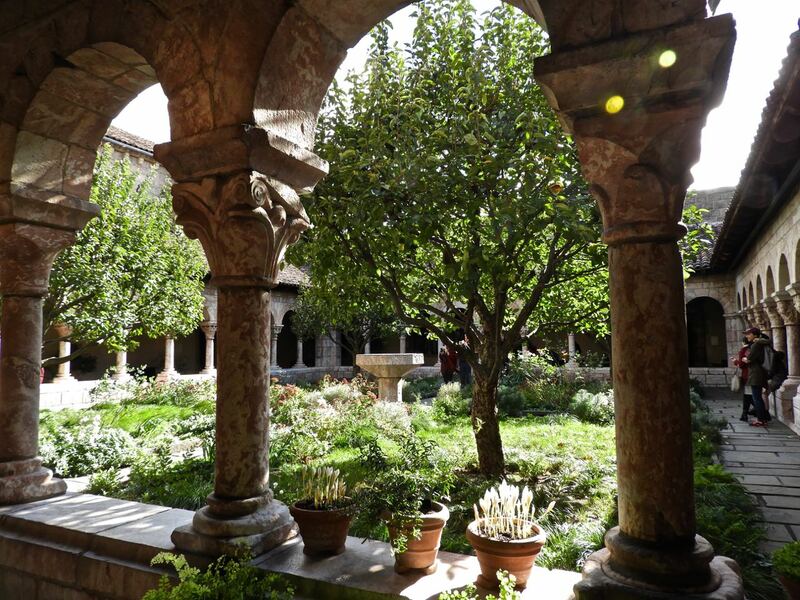 It was built using stones, windows, frames and other features from European sources. One of the first rooms you enter is the Romanesque Hall and as you pass through the monumental thirteenth-century doorway you enter Langdon Chapel. That amazing door frame came from Moutiers-Saint-Jean in Burgundy. 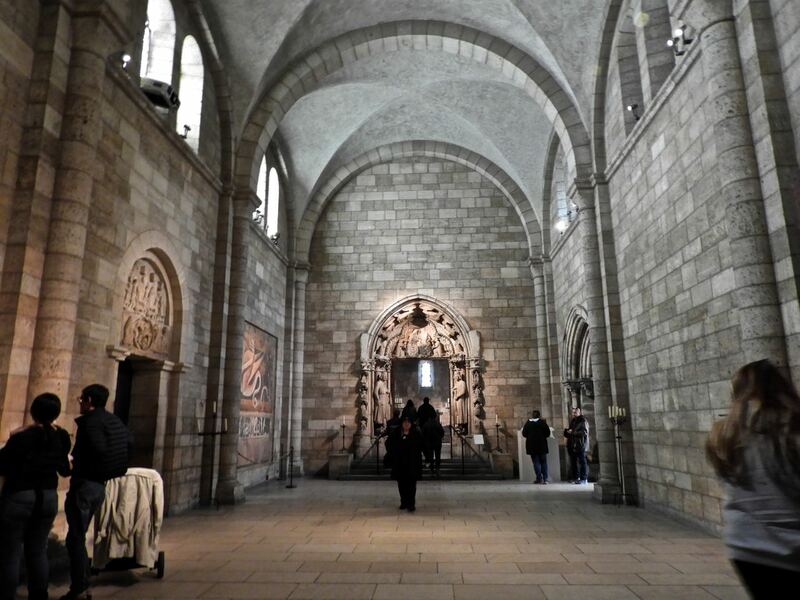 To one side of the Romanesque Hall is the Fuentiduena Chapel. 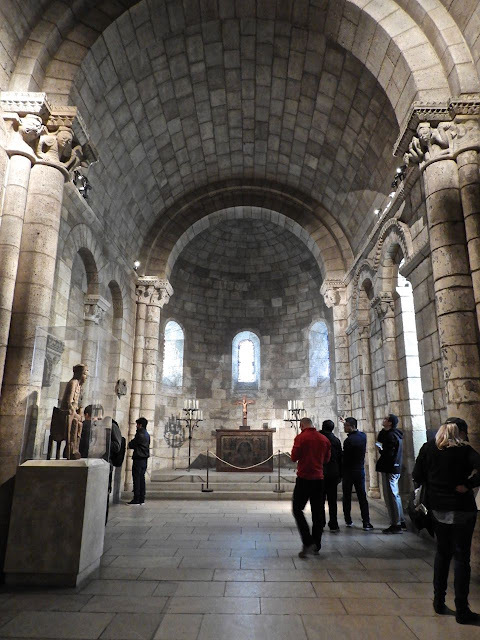 The limestone blocks that form the apse of this room came from Spain. 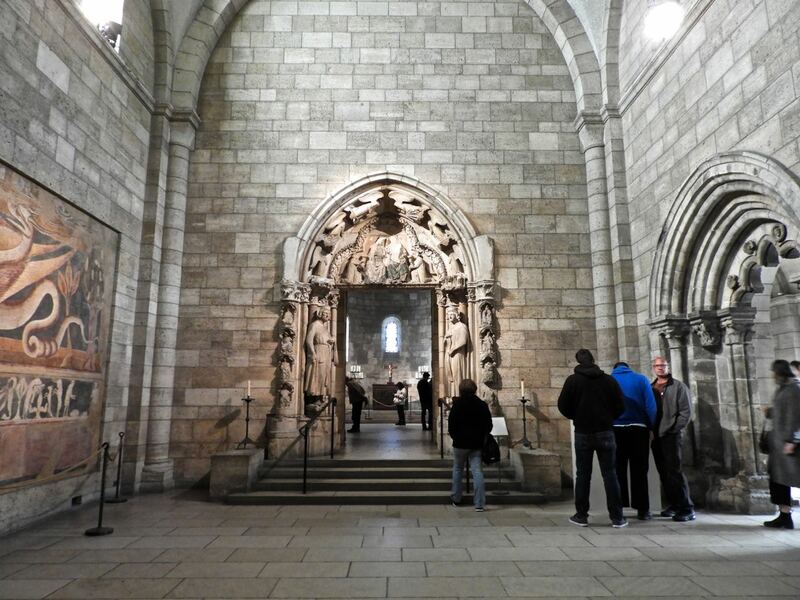 The room is dominated by a twelfth-century Spanish wood crucifix suspended from the arch. 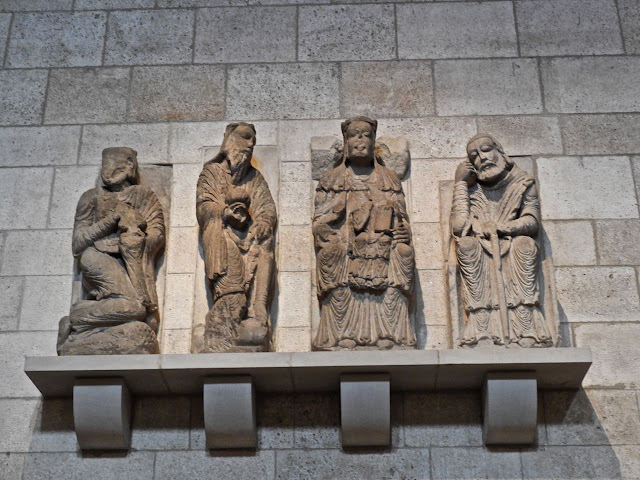 One one wall of this room are these statues, The Adoration of the Magi that came from the church of Nuestra Señora de la Llana in Spain. The nucleus of monastic life centers around open-air courtyards surrounded by covered passageways called the cloisters. 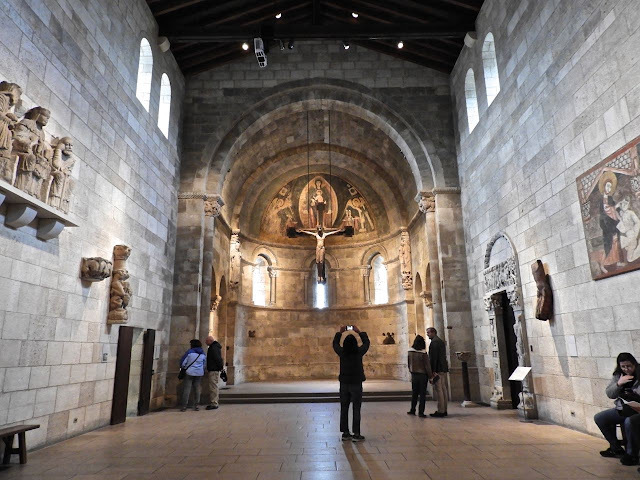 The Met Cloisters has several of these areas to explore. These have been reconstructed from fragments of a monastery near the Pyrenees. 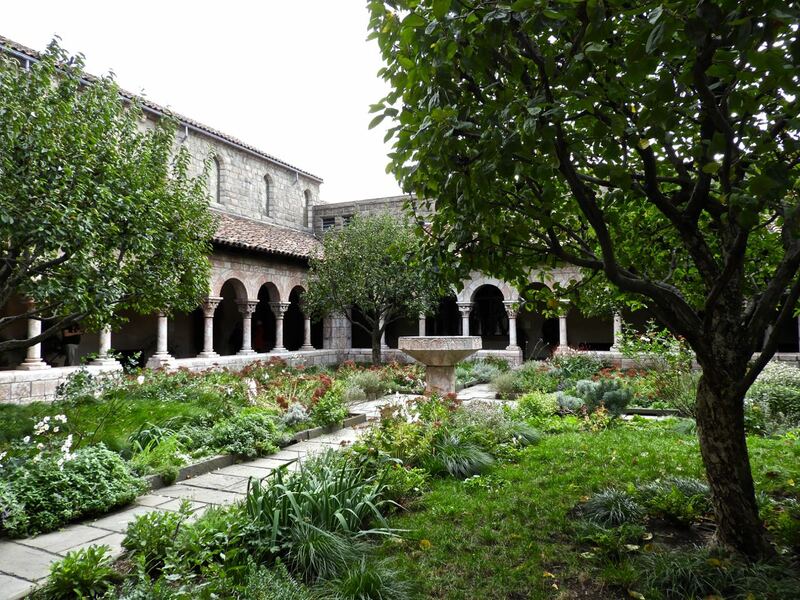 All of them form tranquil spaces that I found myself drawn to over and over during my fall visit. I'll have more about this wonderful place in next Sunday's post. I first heard of the place as a child- from a comic book. What a fantastic place. Looks like you could spent most of a day exploring. Wow! This does look more like something you would see in Europe than in New York City. It's beautiful! I think most of it came from Europe, Lois.